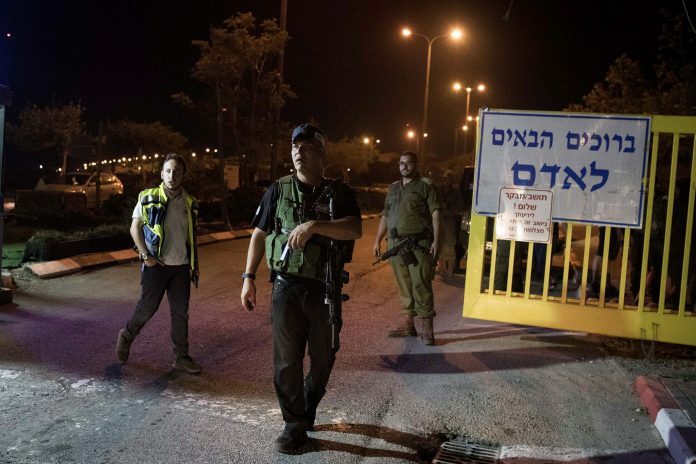 The Israeli who was murdered in a stabbing attack on Thursday night in the community of Adam, just north of Jerusalem, has been identified as 31-year-old Yotam Ovadia. Two other Israelis were wounded in the attack, including a victim in his 50s who is listed in moderate condition, with signs of improvement as of Friday morning, along with 41-year-old Adam resident Asaf Raviv, who was lightly wounded in the attack and has already been released from the hospital. It was Raviv who responded to the incident after hearing what sounded like a scuffle between neighbors in a local park outside his home. After realizing that it was a terror attack, he ran outside and shot at the terrorist while sustaining minor injuries. The terrorist, who died of his wounds, was identified as a 17-year-old Palestinian from the nearly village of Kubar. Security forces believe that he succeeded in climbing over the community’s security fence before carrying out his stabbing rampage. In response to the attack, Jason Greenblatt, Special Representative for International Negotiations for the Trump administration, asked when Palestinian Authority leader Mahmoud Abbas will realize that enough is enough.